"Asli" HD means true High Definition. The images that appear on TV are of the highest quality. The surround sound technology has been designed to give you the best home theatre experience. One major difference is that HD contains several more pixels than SD. The images are five times sharper and more life-like on HD. Even the sound quality is better. Firstly, you will need a Full HD TV to enjoy the pleasure of viewing images on High Definition. All leading brands today manufacture LCDs, Plasma TVs and LEDs that are Full HD. 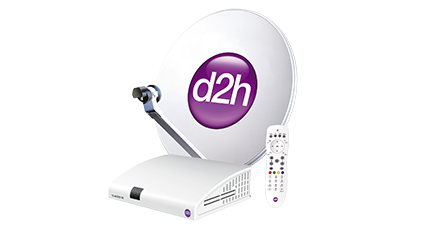 Next, you will need a d2h HD Set Top Box to be installed in your house to receive the transmission of high quality HD signals from the satellite. 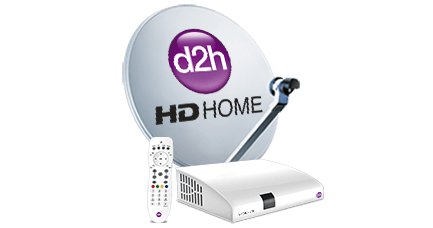 The feed that is received the TV channels also have to be of HD quality. With all these requirements in place, you are now set to enjoy your best TV viewing experience. 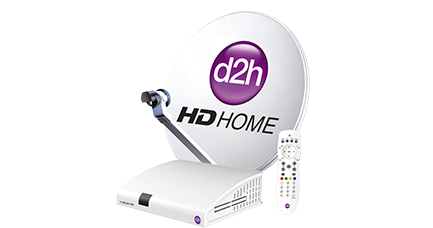 Buying the d2h HD STB gives you instant access to the best quality of picture and sound. Watch your favourite shows at home with theatre quality audio-video.